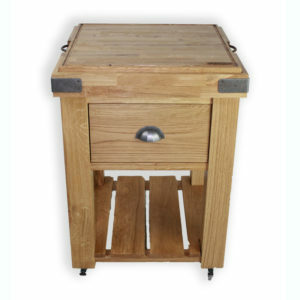 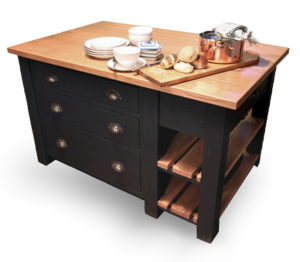 A multi-functional piece, this is a double sided island, featuring cupboards and drawers on one side and a small sink on the other. 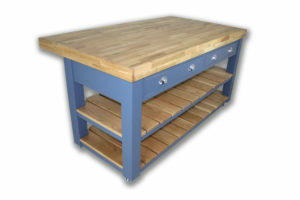 There is also a slatted shelf at one end of the island providing even more usable storage space. 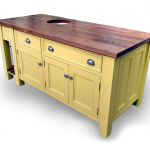 The stunning Iroko worktop completes the island wonderfully. 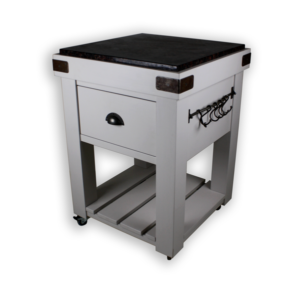 The island measures 92cm wide, 180cm deep and 91cm high. 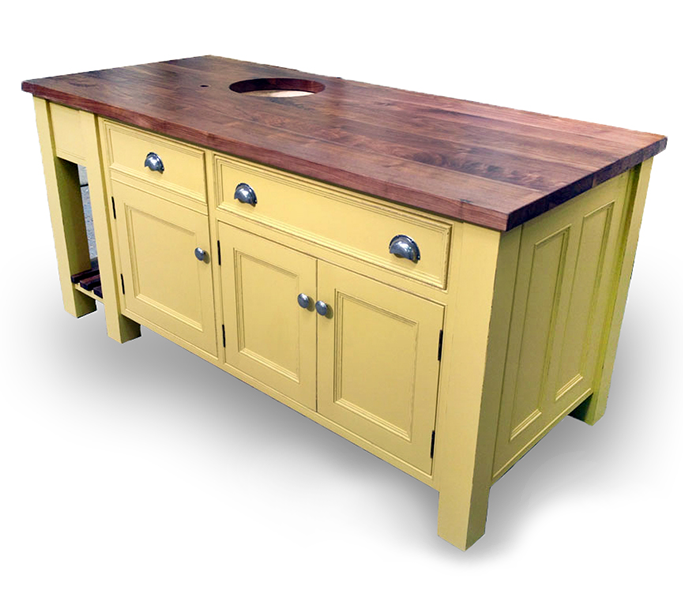 A handcrafted, hand painted Mudd & Co island can become the hub of your kitchen, providing storage, seating and worktop space. 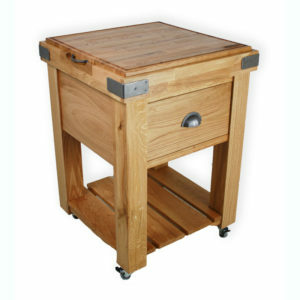 We offer a selection of bar stool seating, designed to suit our islands. 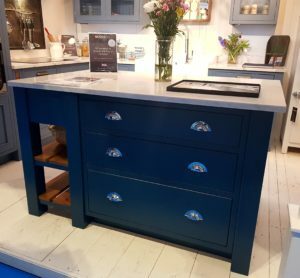 Whilst we offer the islands seen here as standard, we can also create an island bespoke to your requirements, from the size and storage options to the paint colour and handles. 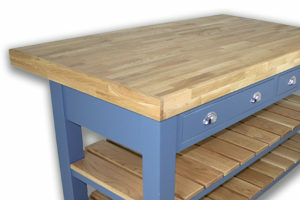 To talk to us about a bespoke island, please click here. 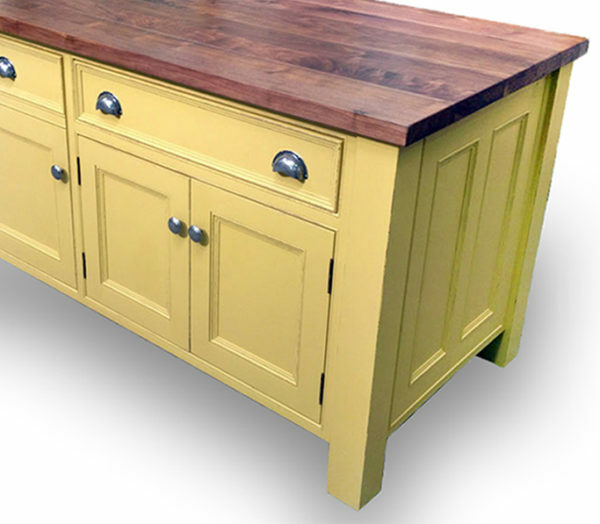 Click here to order a paint colour swatch. 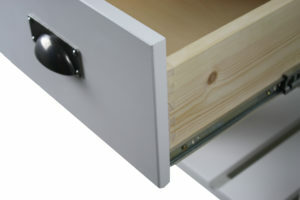 Click here to find our more about our door inlay styles.